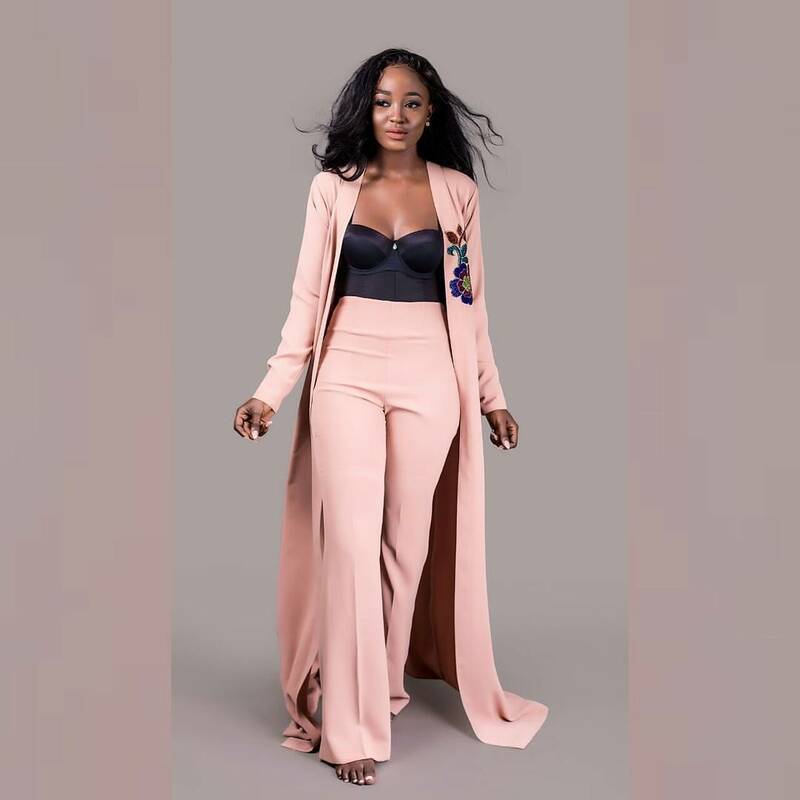 Of course, Ini Edo is one of those celebrities on our watchlist for multiple fashion reasons. 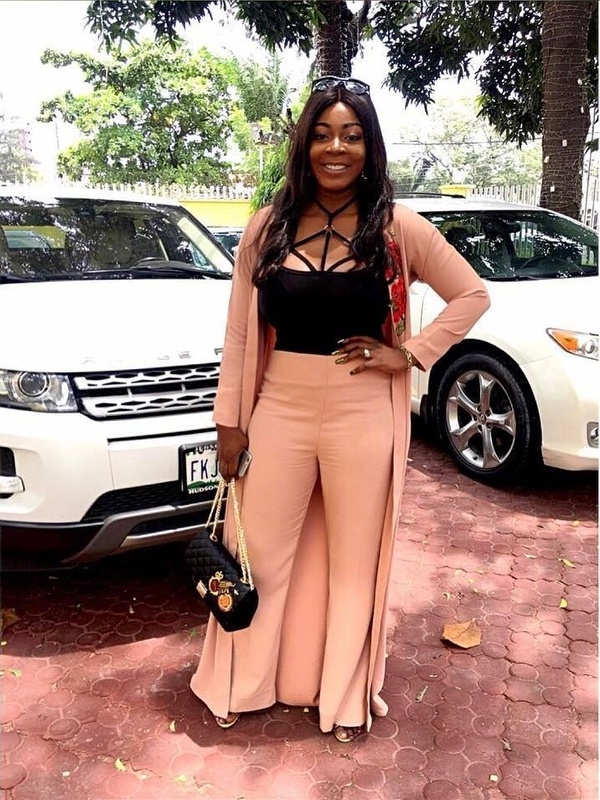 The actress showed us her latest outfit today and it seems other Lagos women are currently going crazy about it. 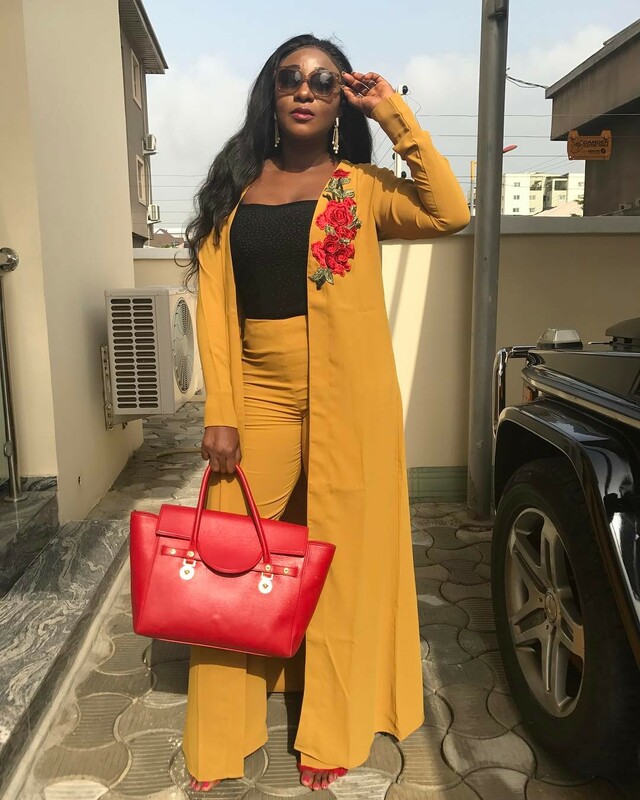 In an Instagram photo she posted, Ini Edo is seen wearing a mustard kimono jacket with matching pants, where she completed with a red bag and heeled mules. 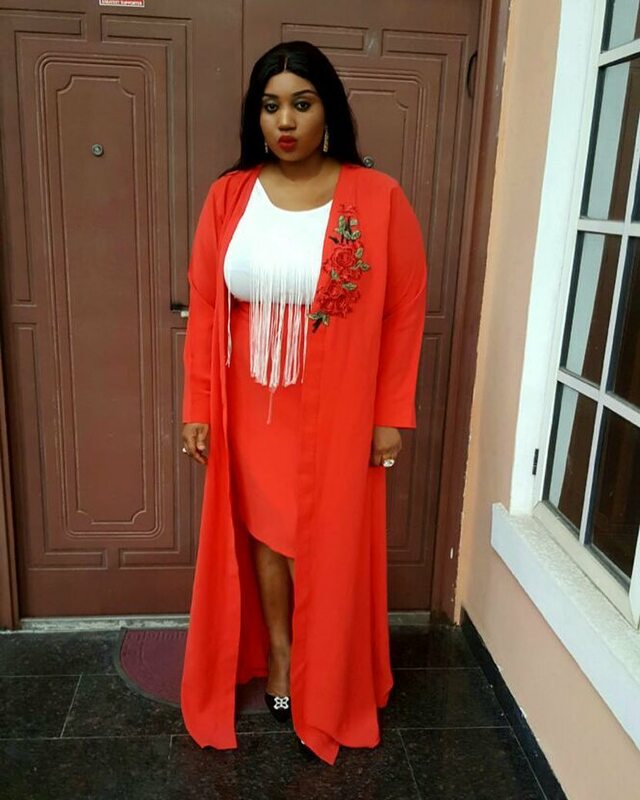 But that’s not all — we love the outfit — from the notice-me mellow yellow hue to the embellished red appliques, the style will make a good investment. 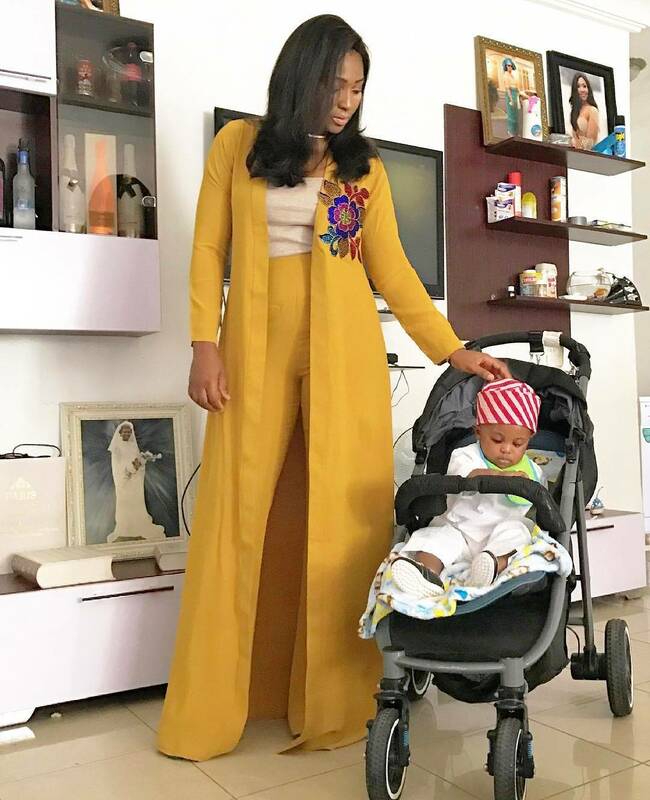 While digging into the designer’s archives, to our greatest surprise, almost everyone, including actress Lilian Esoro had already worn the 2-piece set. 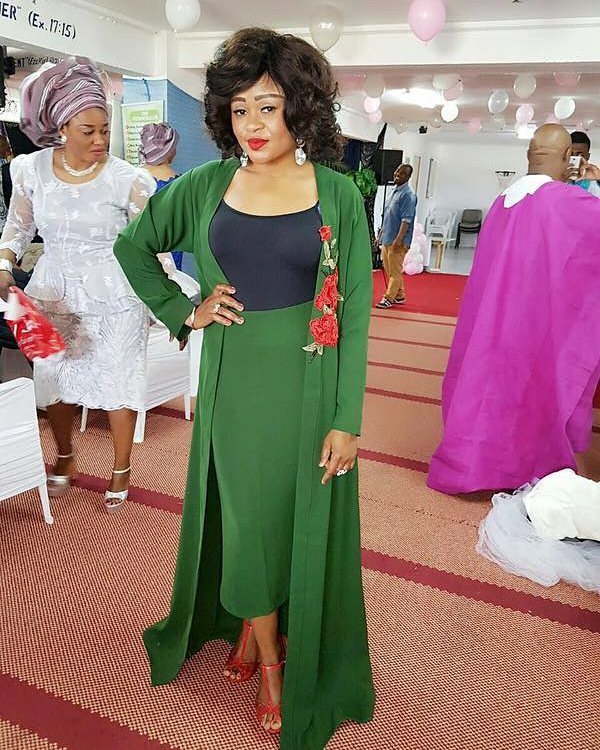 While Esoro wore hers with a creamy camisole top, Ini Edo instead, went for black. 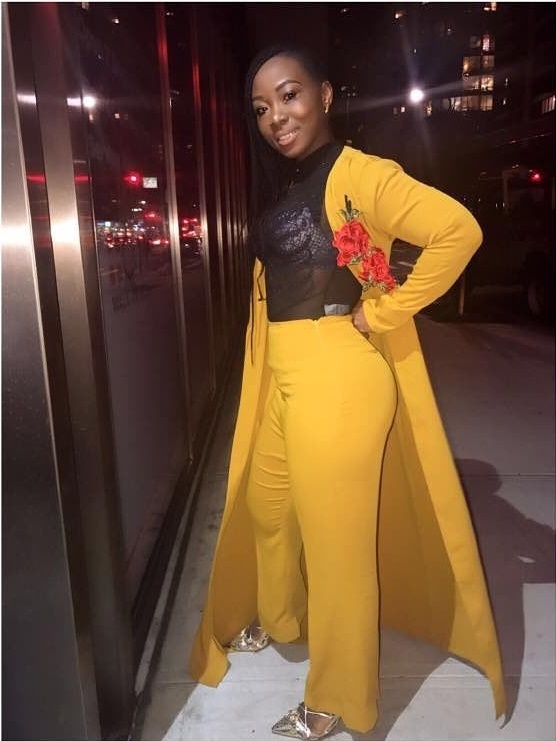 According to the designer, Tolu Bally, the fast-selling pieces are available in all colors, which means if mustard isn’t your favorite, there are a wide range of color options available. Click on to see a few images.